From left, Amy Leduc, Beverage Manager, Worcester Ninety Nine Restaurant & Pub, Dina Tedeschi, P.T.O. President, Norrback Avenue School, Laura Brooker, Service Manager, Worcester Ninety Nine, Josh Thomas, Kitchen Manager, Gina Bandalewicz, General Manager, Worcester Ninety Nine, Brian Casey, Operations Director, Worcester Ninety Nine and Norrback Avenue School students. Loyal Techs, an on-demand support service, has launched, aiming to revolutionize the way consumers receive on-site and remote technical support. With the click of a button, Worcester residents can book affordable and expert tech support for Windows, macOS, Android, and iOS. It’s a simple, inexpensive and convenient option for troubleshooting and fixing tech issues without booking a pushed-out appointment with a hefty price tag. Users of the Loyal Techs website and mobile app can easily navigate to the booking screen where they will fill out a form to describe the problem, select the device, and select the device’s operating system or firmware. The last step is to simply press “Call” to instantly connect with a Loyal Tech who will typically arrive in 2 hours or less depending on the plan chosen. A special $9.99 plan, the Diagnostic Call Out, is perfect for quick and general tech support issues that need on-site or remote attention. Currently, the Loyal Techs service is only available in Worcester, but is expanding to more cities soon. Loyal Techs is also looking for experienced information technology specialists to provide tech support for clients. 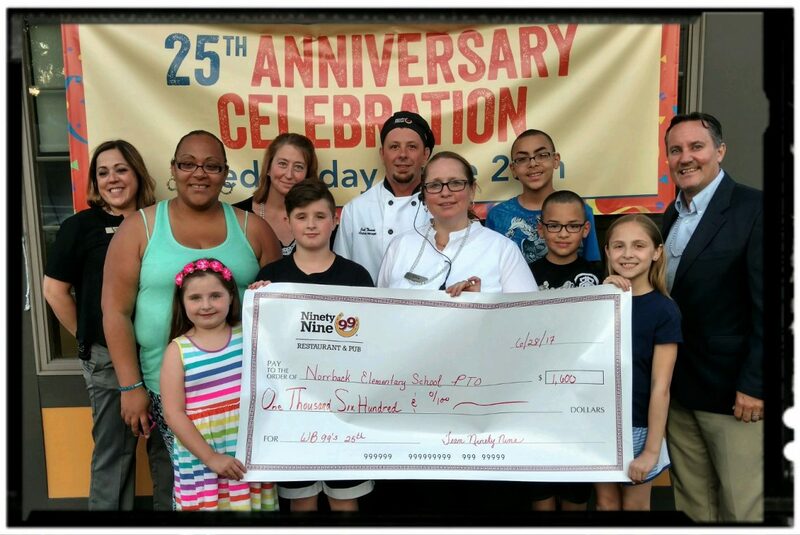 The Ninety Nine Restaurant & Pub on West Boylston Street celebrated its 25th anniversary recently with team members, guests and members of the community, with an event that generated more than $1,700 for Norrback Avenue School. During the anniversary event, guests enjoyed a game of trivia and participated in a commemorative ceremony that honored the restaurant’s longstanding team members. A percentage of the restaurant’s total net sales that day were donated to Norrback Avenue School. Gina Bandalewicz, general managing partner of the Worcester, West Boylston Street Ninety Nine Restaurant & Pub, proudly presented the check to Norrback Avenue School. “We are proud to celebrate 25 years of serving great food and drink to our guests and are passionate about giving back to the community in whatever way we can,” Bandalewicz said. 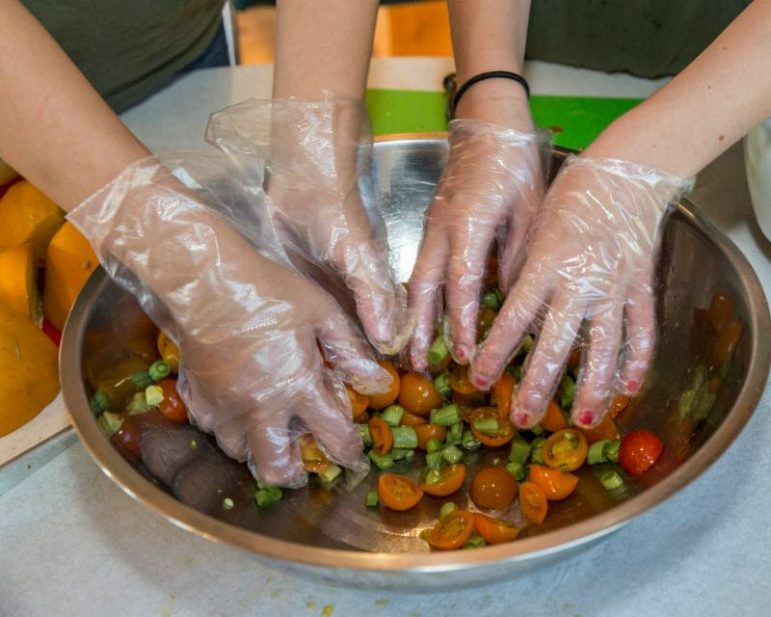 Community Harvest Project is hosting Garden to Kitchen Cooking Classes for children in grades 4-7. The classes are 2:30-4:30 p.m. July 25 and Aug. 8. Sign up is by class, so your child can attend one or both, and enrollment is open to children from all towns. In each class children will pick fresh produce and cook with it. Cost is $20 per child per class. The Clemente Course in the Humanities, Worcester, is now recruiting its fourth cohort for this free college-level seminar to be held at the Worcester Art Museum. The Clemente Course in the Humanities is an award-winning seminar for highly motivated low-income adults seeking to build better lives for themselves, their families and their communities. Worcester’s Clemente Program is sponsored by Mass Humanities in partnership with Worcester Interfaith, and other local organizations and donors committed to making a significant difference in the world. Interviews will be held on Aug. 22, 23 and 28. Interested applicants should contact Community Coordinator Elizabeth Bacon via email or by phone at 774-276-1166. 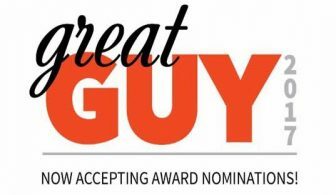 The YWCA of Central Massachusetts is accepting nominations for the 2017 Great Guy Award, which recognizes men who have demonstrated a commitment to address issues of violence and domestic violence in their community. The YWCA created The Great Guy Award in 2004 to recognize the outstanding contributions of men in the Central Massachusetts community who have been inspired to learn and better understand the issue of domestic violence, and who have demonstrated their commitment to end violence against women and children. Since the award’s inception, 39 individuals have been honored. The awards will be presented at the YWCA’s annual Daybreak Breakfast on Oct. 16 at the College of the Holy Cross’s Hogan Campus Center. Nominations will be accepted until Aug. 31.